Barry Downes thought it adder be a joke when he bought a new kettle in the ssssales – and discovered a snake inside. After making a cuppa he returned to his kitchen and found the recently-hatched creature on the floor – but initially assumed it was simply string or part of the plastic packaging. He suspects the snake crawled out of the box his Russell Hobbs black kettle came in. 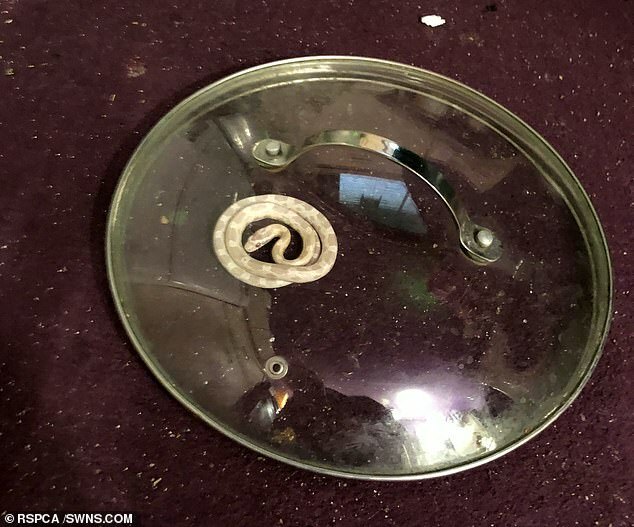 Grabbing a saucepan lid, he trapped the reptile underneath before calling the RSPCA, who identified it as a corn snake. 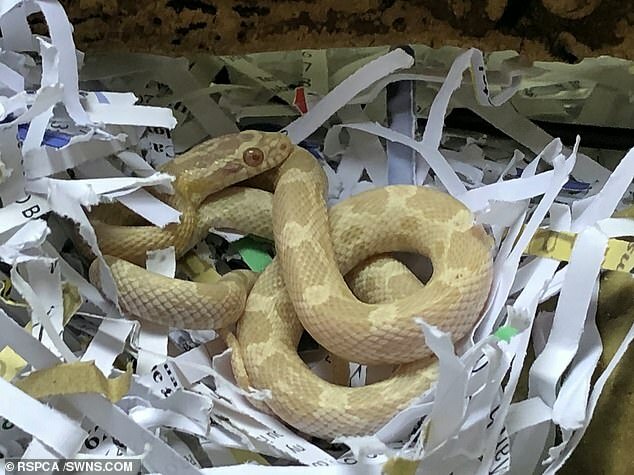 RSPCA officer Ella Davies said: ‘Barry thought the snake may have travelled from China – which is where the kettle was made – but I suspect she snuck into the box at a storage warehouse in the UK. The snakes originate in the US and are often sold in the UK as pets. They are non-venomous and can reach 1.5m.